This year we have earned $650 dollars for our PTA from Amazon. This is such an easy way to contribute to the wonderful programs the PTA provides like Math Superstars, Runner’s Club, Robolab, Science Day, Science Fair, just to name a few. If you have any questions, e-mail the Canyon Creek PTA. 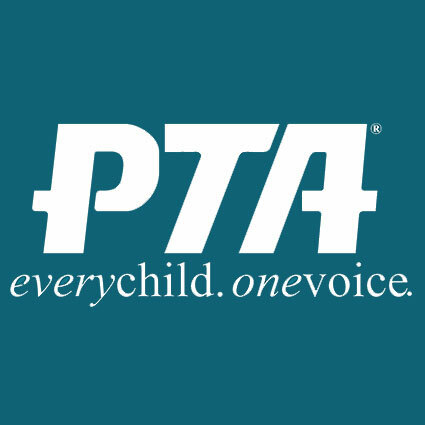 On your first visit to AmazonSmile, select “PTA Texas Congress 7854 Canyon Creek Elementary” as your charitable organization to receive donations from eligible purchases before you begin shopping. Amazon will remember your selection, and then every eligible purchase you make at AmazonSmile will result in a donation. If you plan to be a Volunteer, go on a field trip, help in the classroom, or work with students, you MUST complete the volunteer application AND receive approval. 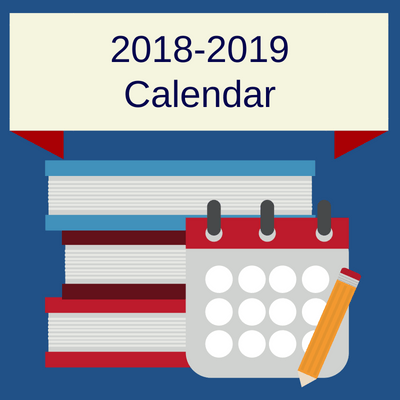 If you completed an application last year, you will still need to complete a new one for the current school year. Click here for more information and the application link. If you do not have a social security number you must complete a paper application.  The applications are available in English, Spanish and Korean for anyone who does not have Internet access or prefers to use a passport or alternate form of identification. Paper applications must be turned in at the campus where you wish to volunteer. Paper applications can take up to three (3) weeks to process. The window to refer students not currently identified as TAG for TAG testing is open November 12, 2018 through December 7, 2018. If you are interested in referring a student for TAG testing please click the link below and complete the online form. The online form must be completed online AND the Permission to Test form (hard copy) must be completed and turned into the campus main office by Dec. 7, 2018 by 4:00 p.m. If you are in need of a paper packet in either English or Spanish please contact Mrs. Henrichs or Mrs. Hamilton. Welcome to Kindergarten in Round Rock ISD! 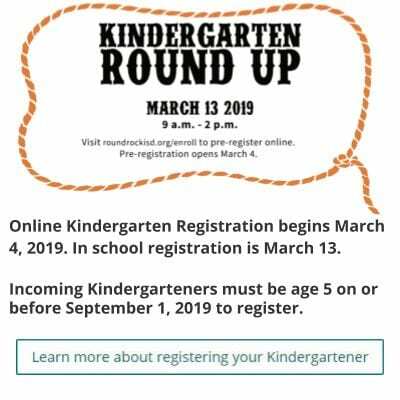 Online Kindergarten Registration begins March 4, 2019. 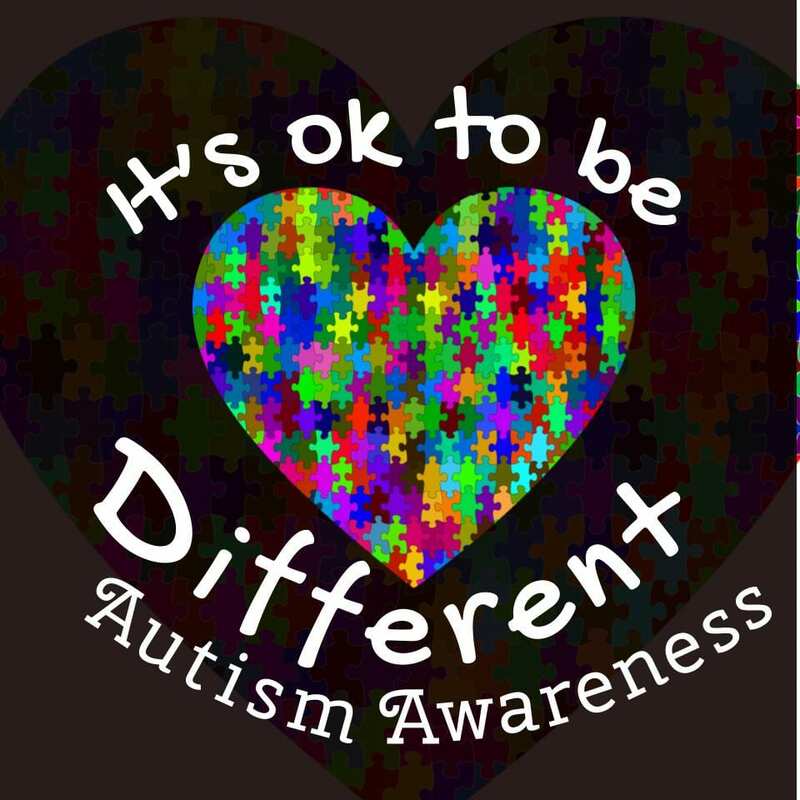 In school registration is March 13. 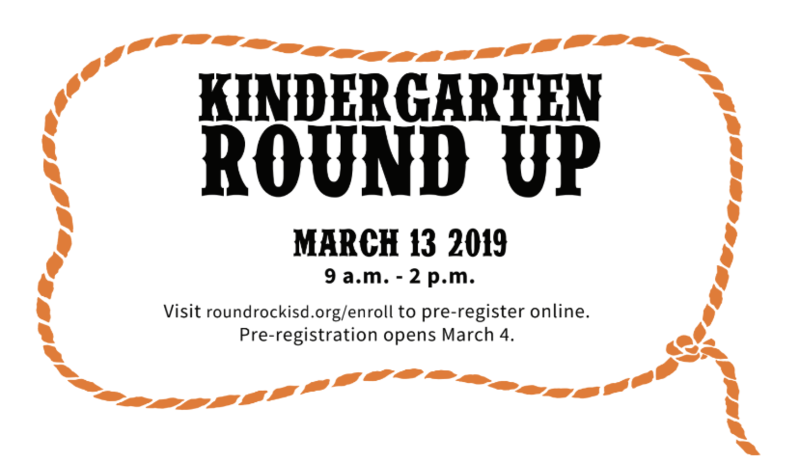 Incoming Kindergarteners must be age 5 on or before September 1, 2019 to register. We have prepared documents for you to make the registration process smooth.